Welcome back to the Gridiron Experts Thursday Night Football Preview! Last week, the Cowboys pulled off an impressive upset and ended the Saints’ winning streak. I had the Saints to win and cover the spread, so, unfortunately, it wasn’t the best week for me. We’ll look to bounce back here in Week 14! This Thursday Night, Doug Marrone’s Jacksonville Jaguars (4-8) squad will head to Nashville to take on Mike Vrabel’s Tennessee Titans (6-6). The Titans are currently (-4) home favorites to take this contest. Last week, the Jaguars defense was superb as they shut down Andrew Luck and the surging Colts, winning by a score of 6-0. Meanwhile, Tennessee staged an impressive comeback, knocking off the Jets 26-22 in a game where they trailed from the start. This is a showdown between AFC South foes, who seem to play a Thursday Night game every year. It’s a pivotal game for Tennessee, as a loss would all but take them out of the playoff hunt. 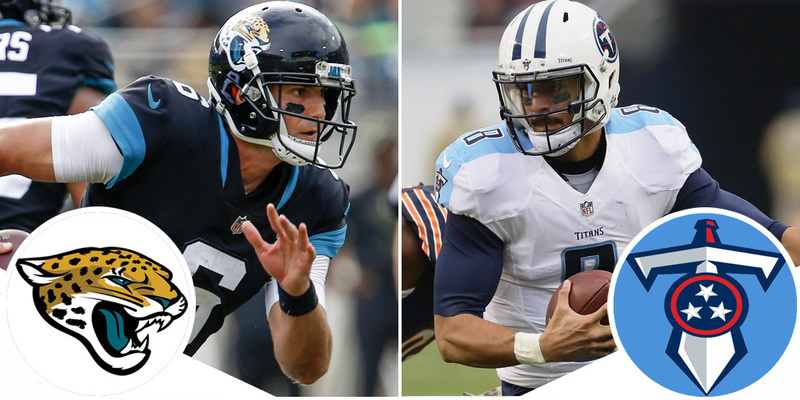 These teams battled in Week 3, with the Titans edging the Jags by a score of 9-6. Jacksonville’s offense will have Cody Kessler under center for the second straight week after Blake Bortles was benched. In his first start, Kessler completed 18 of 24 passes for 150 yards. The knock on Bortles has always been ball control and turnovers. So, perhaps, the most encouraging bit of Kessler’s performance was that he did not commit a turnover. With that said, he averaged 8.3 yards per completion, so it seems that the Jaguars kept him reeled in and limited his risks. Kessler, a third-year pro out of USC, has only thrown the ball 54 times this year in 2 appearances overall… so it’s a bit difficult to fathom what kind of upside he has. He did throw for 1,380 yards and 6 TDs to only 2 INT in 9 games as a rookie in Cleveland, so maybe there are some flashes of potential. We’ll have to wait and see. In the backfield, the Jaguars will welcome back Leonard Fournette. The second-year RB missed Week 13 while serving a 1-game suspension for throwing a punch in Week 12 against the Bills. This will be only Fournette’s 5th game of the season, as a hamstring injury in Week 1 kept him out for the larger part of the season. Fournette made his healthy return in Week 10 when he scored 2 TDs. He followed up that effort with 95 yards and a TD against Pittsburgh in Week 11, and another 95 yards and 2 TDs in Week 12 before being ejected in Buffalo. In total, Fournette has logged 314 yards in 5 games, amounting to only 3.5 yards per carry. He did miss the first game against the Titans this year, so he’ll be a welcome addition to the gameplan. As a rookie, Fournette had a standout year, as he ran for 1,040 yards and 9 TDs, while adding 302 yards receiving in only 13 games. Clearly, he’s the centerpiece of this offense, and with the inexperienced Kessler under center, could have a huge role on Thursday Night. TJ Yeldon and Carlos Hyde will likely mix into the gameplan, although I wouldn’t expect either to get a ton of touches. 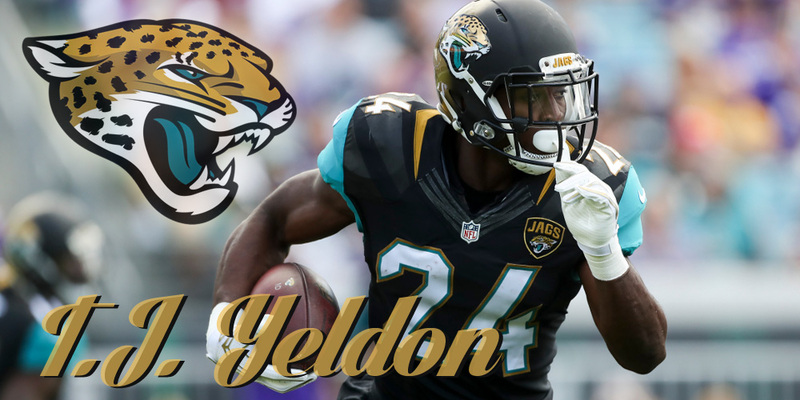 Yeldon does possess receiving upside, as he’s caught 53 balls this year, including 7 last week for 49 yards. He could mix in on third down, and as a change of pace back to keep the Titans on their toes. The Jaguars’ pass catchers haven’t had the most outstanding year, as evidenced by the fact that the aforementioned Yeldon leads the team with 53 catches. Donte Moncrief leads the team in yardage, with 557 yards on 37 catches. However, Dede Westbrook is also right there with 553 yards on 46 catches. When you combine the two, they have the makings of a very productive WR1, showing the Jaguars like to spread the ball out when they do throw. Yeldon, Moncrief, and Westbrook have combined for 11 receiving TD this year, while the rest of the Jaguars’ pass catchers have only 3 TD combined. Clearly, these 3 will make or break the Jaguars’ air attack. Keelan Cole has been disappointing this year. Many looked for Cole to jump a level coming into this season and hoped he’d develop into the team’s WR1. Instead, he’s produced only 391 yards on 31 catches, leaving much to be desired. After losing Austin Seferian-Jenkins to Injured Reserve, the Jags have widely relied on James O’Shaughnessy as their starting TE. He hasn’t really produced a ton, catching only 17 balls for 170 yards, but he is another target to watch on this team. Rookie WR D.J. Chark is another ancillary option with upside, and the Jaguars hope he’ll develop into a contributor… but it might still be too soon for the young WR. The Jaguars’ greatest strength is their defense. Although they’ve taken a step backward from their historic 2017 season, the defense is still quite potent. They’ve yielded only 3,787 total yards, which is the 3rd lowest in the NFL. They’ve also only allowed 243 points, which is good for 5th lowest in the league. LB Telvin Smith is 6th in the league with 101 combined tackles and is the core of the Linebacker corps in Jacksonville. Myles Jack has also produced strong numbers, logging 70 tackles so far this year. Cornerbacks Jalen Ramsey and AJ Bouye still combine to be one of the most fearsome (and outspoken, when it comes to Ramsey) duos in the game. They’ll look to shut down the Titans’ young WR corps. Jacksonville has struggled a bit in the pass rush this year, as their 24 sacks rank 27th in the league. With that said, 14 of those 24 sacks come from their DEs, Yannick Ngakoue, and Calais Campbell, who rank top 20 in the league for that category. Overall, it will be pivotal for this Jaguars defense to replicate their performance last week, as their offense certainly needs all the help they can get. For Tennessee, Marcus Mariota has been the driving force of the offense all year. As Marcus goes, the Titans go. Unfortunately, Mariota’s effectiveness has been directly tied to the play of his offensive line. When he has enough time to get through his reads, he can be effective. However, he’s found himself running for his life most of this season, and sometimes it makes it difficult for him to get in a rhythm. He’s been sacked 38 times, which certainly doesn’t help matters. He’s missed some time this year with a nerve injury in his elbow. This injury, sustained in Week 1, made it difficult for him to grip the ball and feel his fingers at times. Despite that, Mariota has played in 11 of the team’s 12 games this year. He missed Week 2 altogether, but then came off the bench in Week 3 when Blaine Gabbert sustained an injury to lead the Titans to a comeback victory over Jacksonville. Mariota has averaged just under 200 yards per game this year and has thrown 11 TD to 7 INT, while also running for 326 yards and 2 TD. The Jaguars will have to make sure to contain Mariota when he breaks the pocket, as he ran for 51 yards in their last meeting. Mariota has proven that he can be clutch. He is tied for the most game-winning drives (7) in the NFL since the beginning of the 2017 season. Not to mention, he led the Titans to an improbable comeback win in Kansas City during last year’s Wild Card Round. Mariota will need to be effective to give the Titans a chance on Thursday. The Titans pack a one-two punch in the backfield with Dion Lewis and Derrick Henry. The two backs have basically split work this year, with Lewis taking 135 carries for 464 yards and a TD, and Henry logging 128 carries for 474 yards and 5 TDs. The aforementioned Mariota’s 326 rushing yards make the Titans’ offense dynamic and gives defenses three threats to account for at any given moment out of the backfield. Lewis has handled more early-down work than expected, as Henry struggled at the beginning of the year. As of late, Henry has been more effective, rushing for 3 TDs since Week 10. His yards per carry have also improved as of late, as he’s logged 4.6 yards per tote since Week 9 against Dallas. Henry’s effectiveness is a huge piece of a Titans roadmap to the postseason. Lewis’ effectiveness comes in his dynamic ability to catch the ball out of the backfield. He has 45 catches for 309 yards this year and keeps the defense on its toes whenever he’s flanking Mariota. Titans fans hope that Matt LaFleur’s offense keeps developing, and utilizes both Lewis and Henry in ways that they can be effective. At times this year, though, that hasn’t been the case. 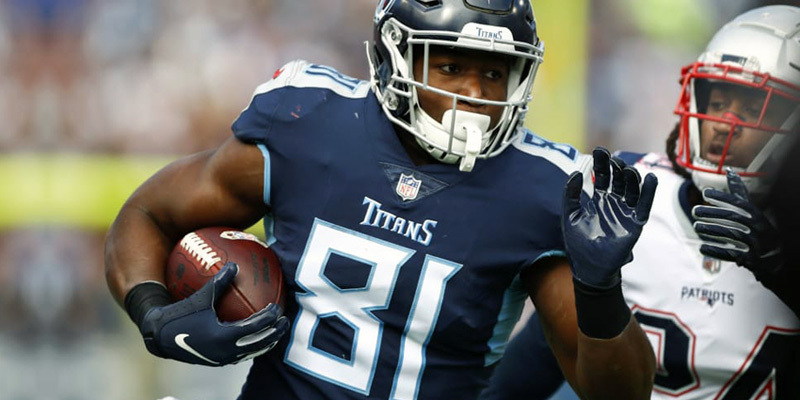 2017 first round draft pick Corey Davis is finally healthy (knock on wood) and producing. After a rookie year where he only played 11 games, Davis hasn’t missed a contest yet this year. He’s caught 52 balls for 744 yards and 5 TDs. He’s proven the ability to take over a game and has been one of the league’s best receivers on third down this year. Aside from catching a game-winning TD last week, Davis has shined brightest in his career when the stakes were at their highest. In last year’s Divisional Playoff game in New England, Davis broke out for the first time, catching 5 balls for 63 yards and 2 TDs. In Week 4 of this year, Davis led the Titans to a win over the Super Bowl Champion Eagles, catching 9 balls for 161 yards and a TD. Then, this year, he played New England again, catching 7 balls for 125 yards and a TD. Davis has game-breaking potential and a bright future; but, with Bouye and Ramsey across from him this week, he’ll need to be at his best. The aforementioned Lewis has the second most catches on the team with 45 for 309 yards. Without their primary pass catcher, Delanie Walker, who broke his ankle in Week 1, the Titans have had to spread the ball out. Second-year WR Tajae Sharpe has caught 25 balls for 310 yards, while Taywan Taylor has added 24 catches for 318 yards. Taylor had a huge game in the comeback against the Jets, catching two long balls from Mariota late in the game and ending with 104 yards. Taylor’s ability to stretch the defense certainly helps open up other options for the Titans. With Walker out of the fold, Jonnu Smith has stepped in and flashed some potential. He’s caught only 20 balls for 258 yards, but he’s scored 3 times, including a long score against the Texans on Monday Night Football. Smith has teamed up with rookie Anthony Firkser and veteran Luke Stocker to combine for 541 yards and 5 TD. Firkser, a fan favorite, had 3 catches for 42 yards and a huge late TD against the Jets in Week 13. The Titans defense is vastly improved, with the additions of Malcolm Butler and Kenny Vaccaro in the secondary. Butler had an awful beginning to his career with Tennessee but has since rebounded and made many key plays against the Jets last week. When you combine these two with Adoree Jackson and Logan Ryan, this unit is now quite formidable after being the laughing stock of the league in years’ past. As a unit, the Titans have allowed the 9th fewest total yards, 5th fewest passing yards, and 6th fewest points allowed in the league. 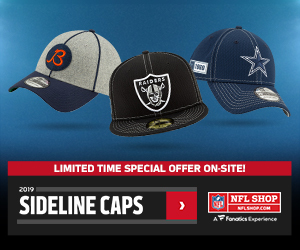 However, they tout a -4 takeaway/giveaway ratio, putting them in the bottom half of the league. Wesley Woodyard leads the LB corps and team with 78 combined tackles. He’s closely followed by the young Jayon Brown, who’s had a nice year, adding 6 sacks to his 71 combined tackles. DL Jurrell Casey is still one of the league’s best and ranks 2nd on the team with 5.5 sacks. Overall, the Titans need a better pass rush to be competitive, as they’ve only logged 29 sacks this year. On the injury front, the Titans were without LB Derrick Morgan, and WR/KR Darius Jennings on Tuesday. Malcolm Butler and Tajae Sharpe were limited, and the Titans certainly hope they’ll play. For the Jaguars, DJ Chark missed practice, and Abry Jones, Jermey Parnell, Calais Campbell, Jalen Ramsey were limited among a few others. Ramsey fought through a knee issue in Week 13, and it would obviously be a huge blow if he can’t go on Thursday night. These two teams battle every single year, and regardless of their records, you can never predict the outcome. As a perfect example, in the Jags’ Cinderella season last year, the Titans beat them twice. At this point, it’s tough to get a read on Cody Kessler, but a matchup with the Titans’ newly strong defense isn’t the most ideal scenario for a young, unproven QB. I think that this game hinges on Tennessee’s ability to keep Marcus Mariota on his feet. I think any way you cut it, this will be a low-scoring close game. In a tight game, I always think of which QB can perform in the clutch and pull it out late. With Mariota’s track record, and the uncertainty surrounding Kessler’s ability, I think this gives the Titans the edge. Look for Mariota and Corey Davis to make some timely plays late for Tennessee as they pull out (yet another) ugly, gritty game. Give me the Titans to win. I’ll take them to cover (-4), by a score of 20-13.